“A San Luréns l’ua la tens”, ovvero, per la festività di San Lorenzo (10 agosto) l’uva incomincia a mostrare qua e là qualche acino colorato, il che significa che l’annata prossima sarà ottima, o così parrebbe. Per togliere i dubbi a fine luglio Alice e Vinz si sono sposati, circondati di colori, tannini e tabacco (e piante di pomodori). Tanti auguri a loro per questa e per tutte le annate venture, colorate e millesimate! 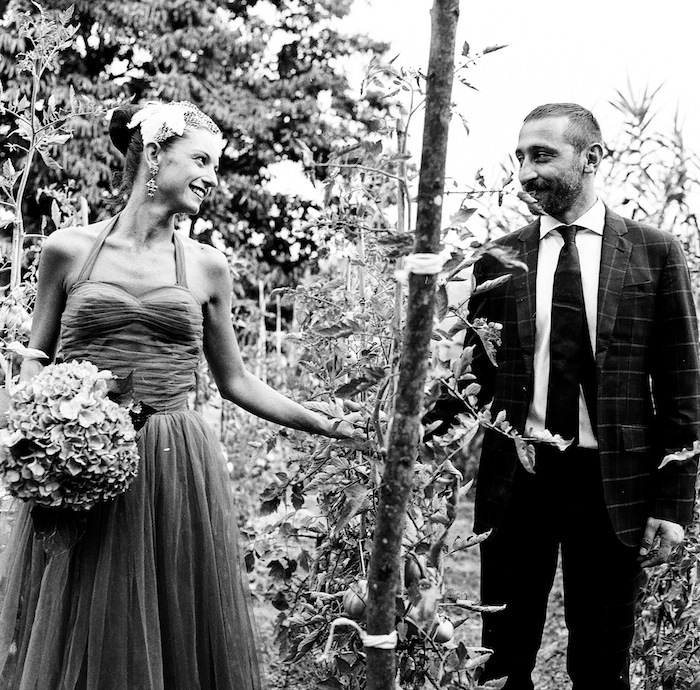 Noi, i festeggianti, siamo rimasti con loro qualche giorno, giusto per essere sicuri dei colori e perchè di tannini così, raramente se ne incontrano, ma questa è un’altra storia, Sauvages! aostavalleyfreeride X vdamonamour: bike dans la plaine. Aosta is a town in the heart of the small region of Aosta Valley, that has many reasons to be considered one of the most fascinating bike detinations of the Alps. In the last years it seems to have become one of the most renowed bike destinations of all europe for the most demanding riders from all Europe. So first Aosta’s position right in the center of the region, makes it a top spot to reach all the different spots around the valley in less than one hour of driving. Then, even tough the smaller villages and resorts may surely be of charm, biking just outside of town into endless woods and untouched nature, and being able to get back on the bike to local food and wine places downtown, cultural offers and the amazing roman architecture of the town, is quite a unique experience. Not to be forgot, the climate of the bottom of the valley, makes it possible to ride for a very long period (march to november) in opposition of the higher routes which can only be accessed for 2 or 3 months during summer. 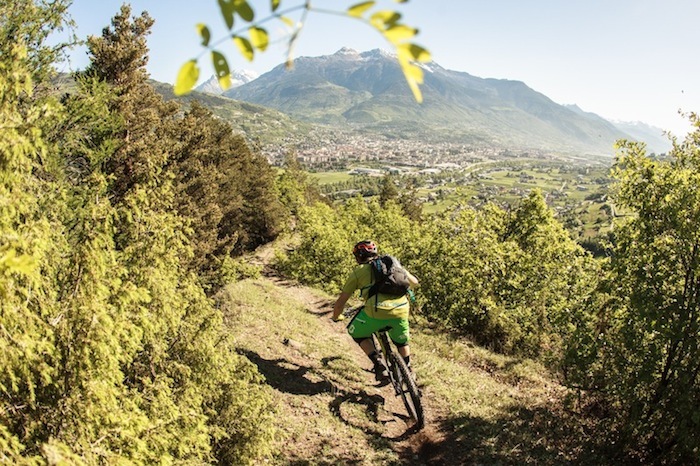 Just outside of town Aosta offers dozens of wonderful singletracks, and even a downhill track comes down to town from the Pila Bike park. For the less extreme riders, the wineyards in the surroundings of Aosta are surely a first choice, with the posibility to taste local wines in the cellars of local winemakers. So here are some pictures of a week end of early summer on the trails between Gressan and Saint Pierre area that has once again suggested to us: we live in Bike paradise!